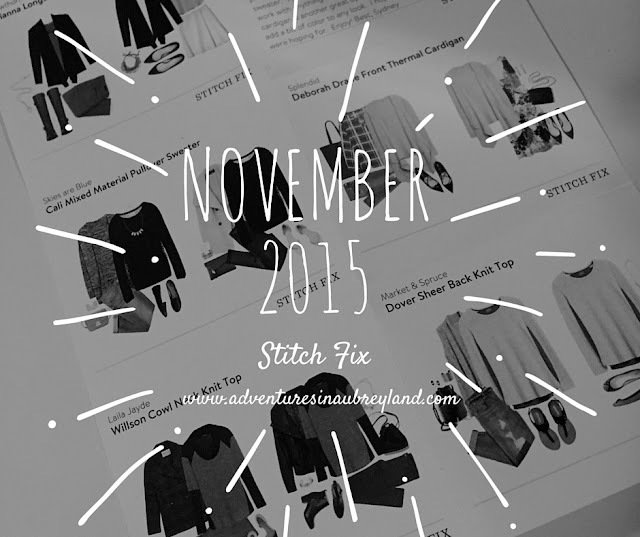 I'm back with my latest Stitch Fix recap! Disclosure: I paid for my own Stitch Fix; all opinions are my own. 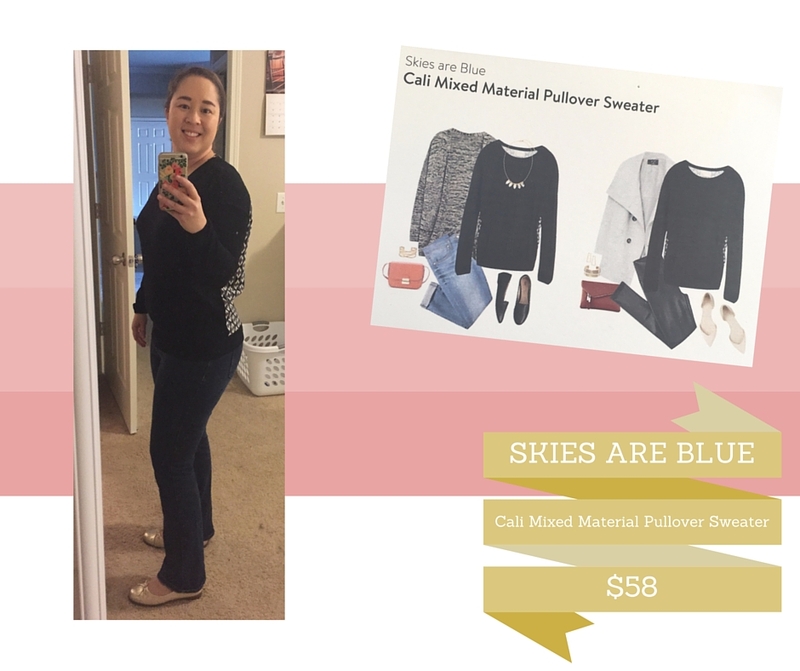 If you're interested in trying Stitch Fix, I'd love for you to use my referral link so I can get $25 towards my next Fix! This month, I asked for some more "mixed media" tops, as well as warm layers as the weather cools off. I had some luck last month shopping on my own for these kinds of pieces, so by the time my Fix came I knew I'd be less likely to keep the whole box. This is the top that I kept, because it felt like a comfy sweatshirt but had some visual interested in the back. It's so soft, and I do gravitate towards the color black. I guess I'd describe it as a really great weekend sweatshirt that would appropriate to wear out without looking like you're in pajamas. And that is the definition of how I wish I could dress every day! The Abrianna cardigan was comfy, soft, and fit well, but for $48 I couldn't justify the purchase. 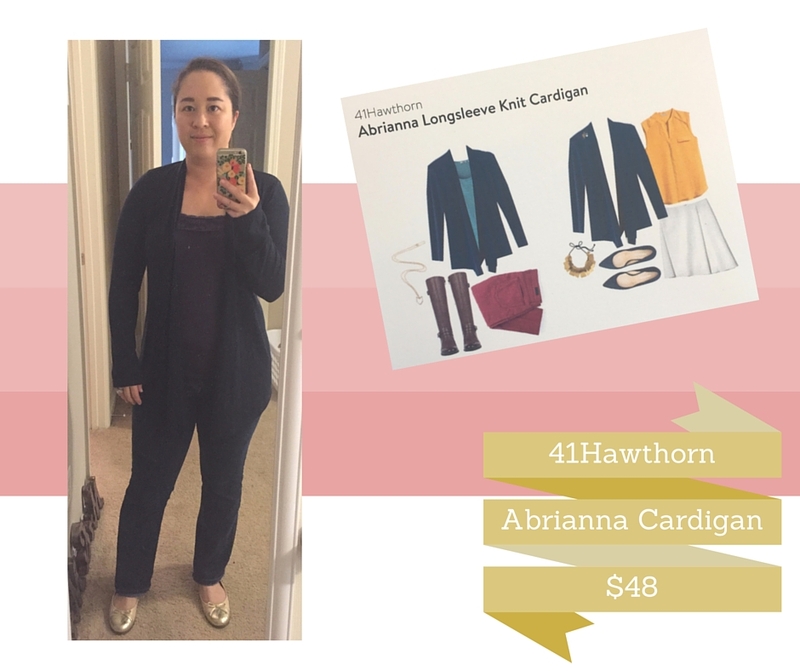 It was plain and navy in color, and I felt like I could get almost the exact same cardigan for a better price elsewhere. 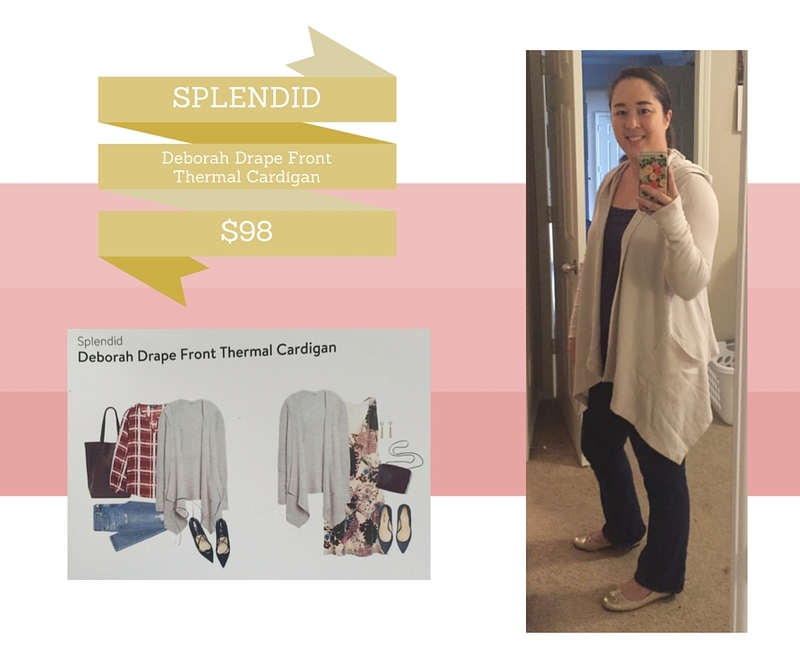 This Deborah thermal cardigan is the one piece I sent back that I'm still thinking about. It felt like a warm hug, and the hoodie was a neat surprise! That said, it didn't feel office-appropriate, and I have enough loungewear for casual days at home. But it seriously was the comfiest thing ever, and I lamented not having a spot for it in my wardrobe. 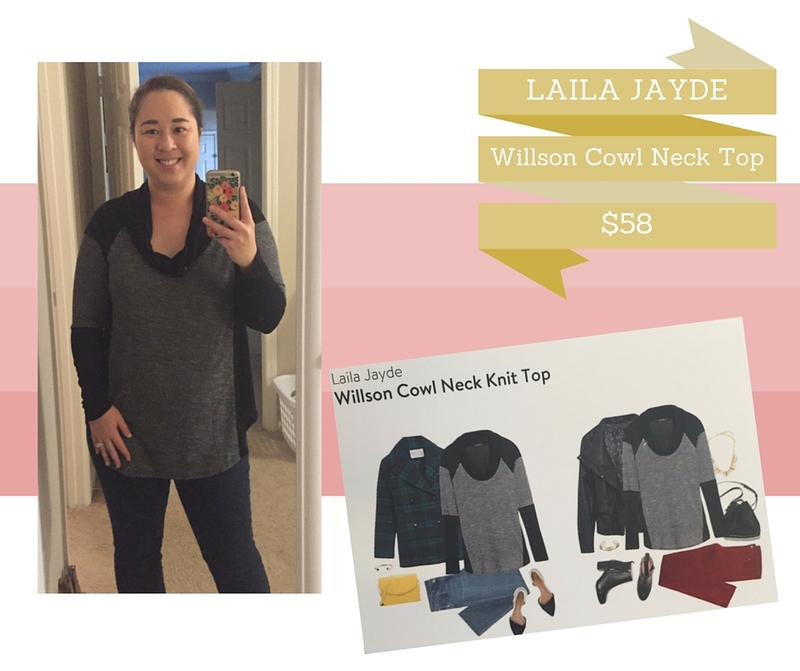 I wanted to love the Willson cowl neck top. In the photos, I liked it a lot. But the material was actually pretty thin, and the cowl not as substantial as I'd like. I like a serious cowl that feels like an infinity scarf! I actually would have preferred this top to be more fitted too, as I think it would have made it more flattering. But as you can see in the photos, it did me no favors. This Dover top was super cute! I loved the cobalt color on the back. But since I had already purchased a similar style top, and this one fit a bit tightly in the shoulders, I sent it back mostly on account of fit. I had a $25 credit to spend, so in the end my $58 top was only $33 in the end. Win! 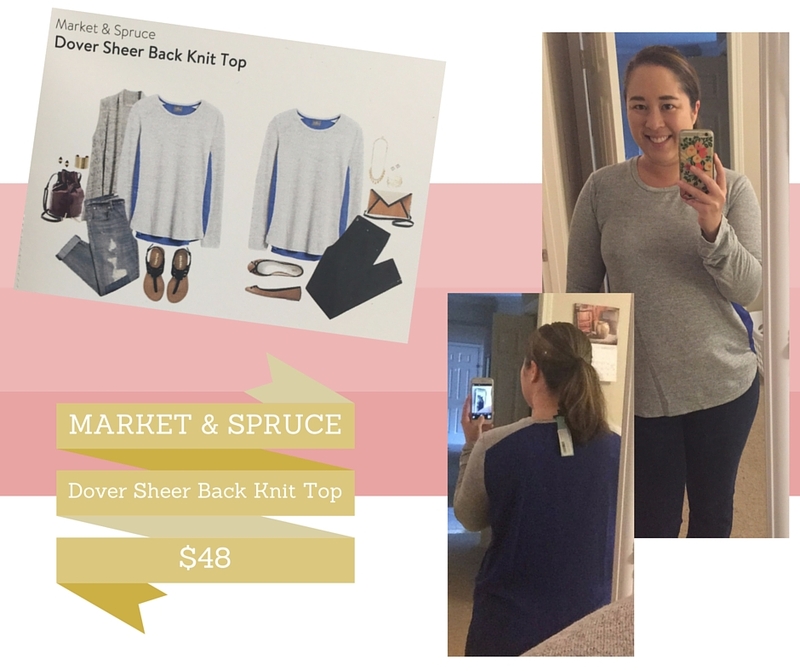 Overall, I continue to have fun with Stitch Fix. I would have picked up all of these items to try on in a store, even though some of them were above the price I would have preferred to pay. I'm not sure if I'll continue it forever, but every other month continues to be a good cadence.